Applies to: All Reolink cameras except the battery-powered cameras. If you do not have an NVR, you may choose to follow the methods below to set 24/7 video recording. 1. When using computer for 24/7 recording, you need to keep the computer and the Roelink Client on for 24/7. 2. The continuous recording may affect your PC performance. 3. The manual record is not available when scheduled normal recording to local is enabled. Step 1. 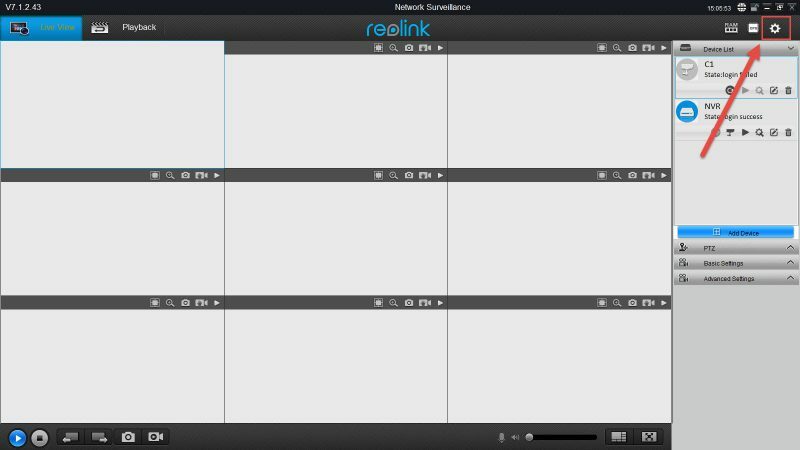 Launch Reolink Client, log in to your camera, and open Local Settings. Step 2. Go to Record Settings and click Set next to Record Schedule. Step 3. 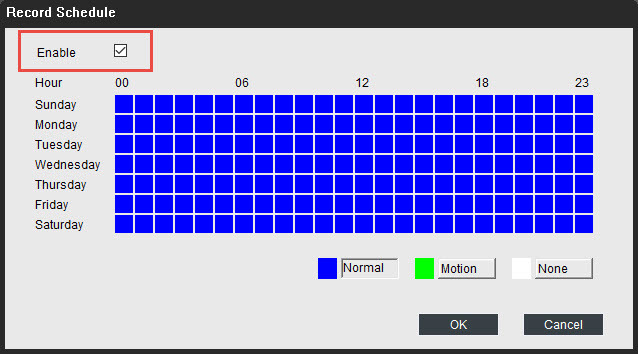 Check Enable and schedule recording 24/7, then click OK to proceed. Note: Normal means that the camera will keep recording for 24/7 and Motion means that the camera will only record when a motion is detected. Step 1. 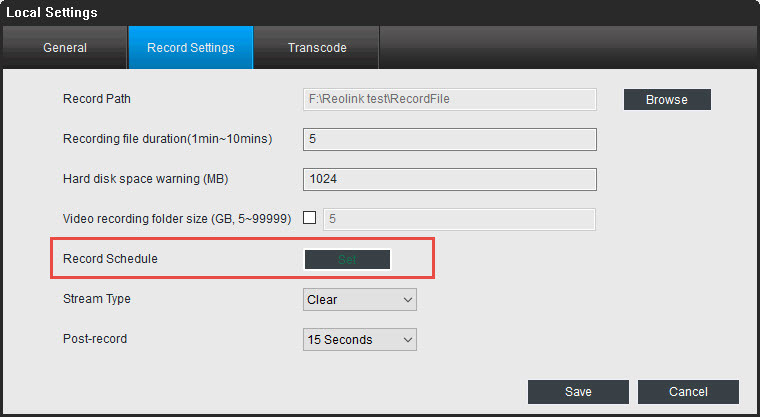 Set up an FTP server for your camera in Reolink Client. Step 2. 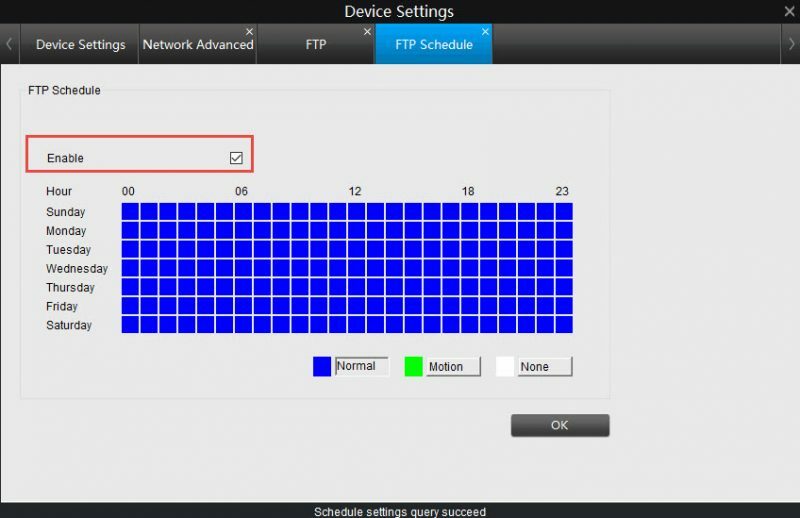 Schedule FTP recording 24/7 and click OK to proceed.